For 2018, Hyundai's Elantra compact sedan and hatchback add more available safety and technology features, continuing its move to conquest best-selling rivals like the Honda Civic, Toyota Corolla and Nissan Sentra. The Elantra boasts stylish looks, premium amenities and a class-leading warranty that includes 10 years/100,000 miles for the powertrain. A modest car that is anything but modest. I recently purchased my car 3 months ago and it is the first new car I have bought in 17 years. It has all of the latest features, apple carplay which is convenient because I can text and make phone calls while driving hands free. I can use maps from my phone when connected so I do not need to pay extra for a navigation system. It has heated seats that will come in handy in the winter months. It has a sunroof for when I want some fresh air but do not want my windows open so I can hear the radio better. The car itself runs really well. It has an eco mode for when I want to save gas while driving which helps when I commute to work during rush hour traffic. The car can be a little sluggish in eco mode but when you are looking to save on gas it is not that bothersome. It has a sport mode for when I am going on a long car trip and I can go a little faster. I have a push start ignition which is convenient because I do not need to take out my keys or worry about them getting lost because I always keep them in my purse. The trunk space is plentiful. Sometimes I take my mother out and she needs a wheelchair and it fits perfectly in the trunk. All in all I am very happy with my purchase. It has all the luxuries of a more expensive car without the hefty price tag. Apple carplay is the best!! My vehicle is amazing! If you are looking for a car with great gas mileage then this is the car for you. Driving through neighborhoods and city roads I typically get about 30 mpg and on freeways I get 40-45 mpg. I have driven this car many places and it has never failed me. The only slight complaint I have is that if you have it in either normal or economy mode, then it is very slow at speeding up, so what I do when merging onto freeways or quickly changing speeds is change the car into sports mode and then switch it back into eco mode after that. It is a little bit of work, but is very easy and doable. One of my favorite parts about this car is the Apple carplay function! I can text from my car, play Spotify straight from the screen, and so much more it is amazing! The only recent concern that I have had with the car is that for some reason the right back door will not open so I have to get that checked out, but besides that I would 100% recommend this car to anyone and everyone. This car has impeccable safety features. I love my car. I have had it for over a year and I haven't had any problem. It is very spacious for being a small car. Both the back and the front have a lot of room. The truck also has a lot of space. I travel a lot and I am always able to fit a bunch of luggage in the trunk. I also drive across the country often and it is usually easy for me to get car sick. The roominess of the car help keep that from happening. It is also really good on gas. I do not have to fill up very often. It also has sensors. I am not the best driver so it is extremely helpful when the car will beep if I am trying to switch lanes with a person in my blind spot. It also beeps when I am trying to back out and a car is coming from either side. It even tells me what side the car is coming from. The back up camera and safety features are incredible. 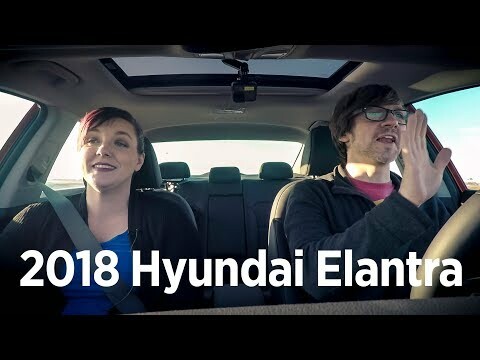 1 YEAR OWNER REVIEW: 2018 Hyundai Elantra 5 Things I HATE and LOVE About My Car! !